I love darker shades of lipstick as they provide a bit diversity to my monochrome red lip collection. In this tutorial I share with you my tips on how to create an everyday burgundy lip look using makeup by e.l.f. Cosmetics. 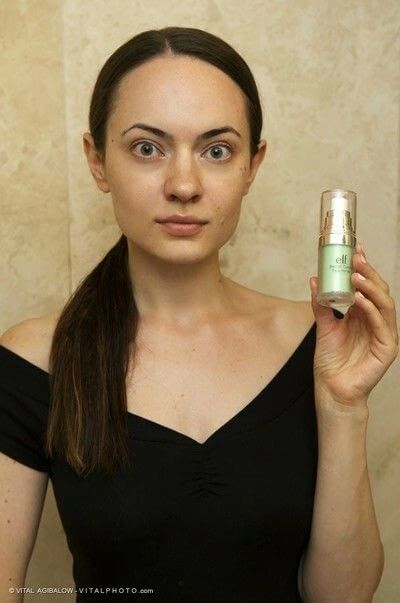 I always start my makeup with a primer as it gives a better coverage and improves the overall look. For this look I used e.l.f. Studio Blemish Control Primer (c/o) that is so perfect for a problem skin. It contains Salicylic Acid and Tea Tree extract which are two most effective ingredients for controlling blemishes. In other words, this primer prevents blemishes while you are wearing your makeup. Isn't it amazing? Apply a light foundation to make your skin look flawless. I used e.l.f. Beautifully Bare Foundation Serum in Fair/Light (c/o) which provides a light coverage and thus ideally work for everyday looks. This product reminds me another favorite, but pretty expensive Giorgio Armani Maestro Fusion Foundation. Compared to $64 designer product, elf‘s $8 foundation is a steal that will be a great addition to your makeup collection. For concealer, my current favorite product is e.l.f. 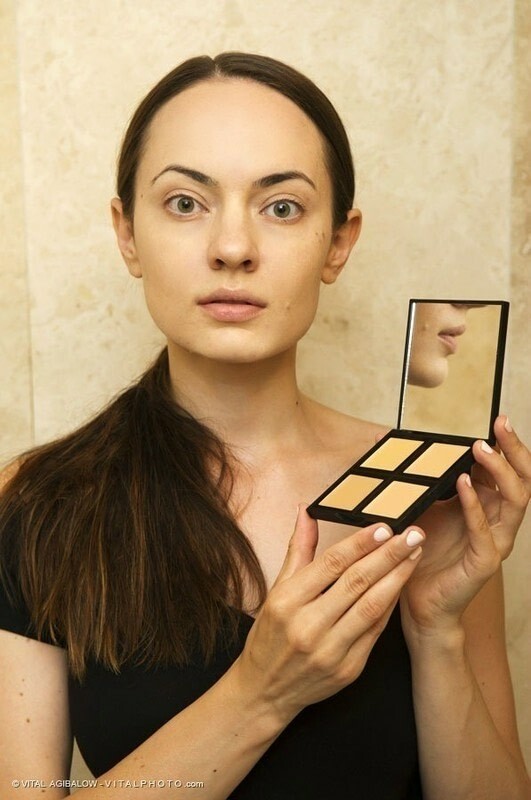 Foundation Palette (c/o) which allows to mix different shades to create a perfect tone that will virtually erase under eye circles in a matter of seconds. 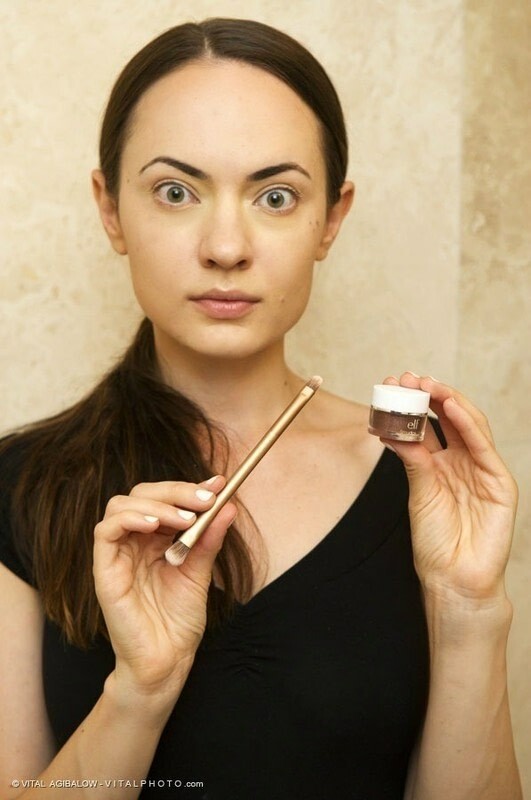 In order to avoid stretching the skin under my eyes and provide more natural coverage, I apply the product using a bamboo foundation brush by EcoTools. 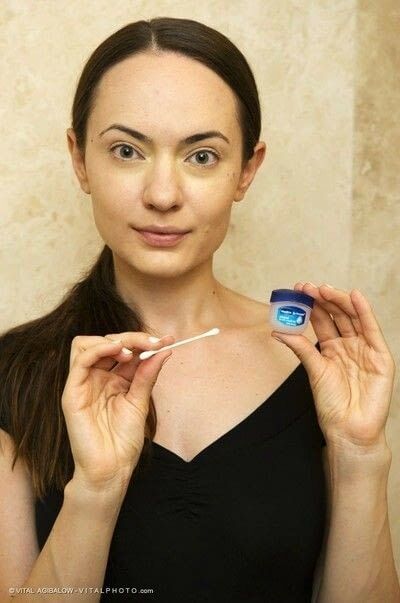 Using a cotton swab, apply a tiny amount of Vaseline Lip Therapy Original. By the time we are done with contouring and eye makeup, it will make your lips baby soft. It’s time for a little contouring. Using e.l.f. Ultimate Kabuki Brush (c/o), apply the darkest tone from e.l.f. Studio Contour Palette (c/o) on the lower side of your cheeks. In order to make it easier to “discover” the right spot, make a “fish face” (lol I honestly don’t know how else to call it) and work under the cheekbone line. Then contour just one inch above the temple with a second from the darkest shade. Finally, use a finger to add a bit of highlighter on top and bottom of your lips to emphasize your upcoming lips makeup. 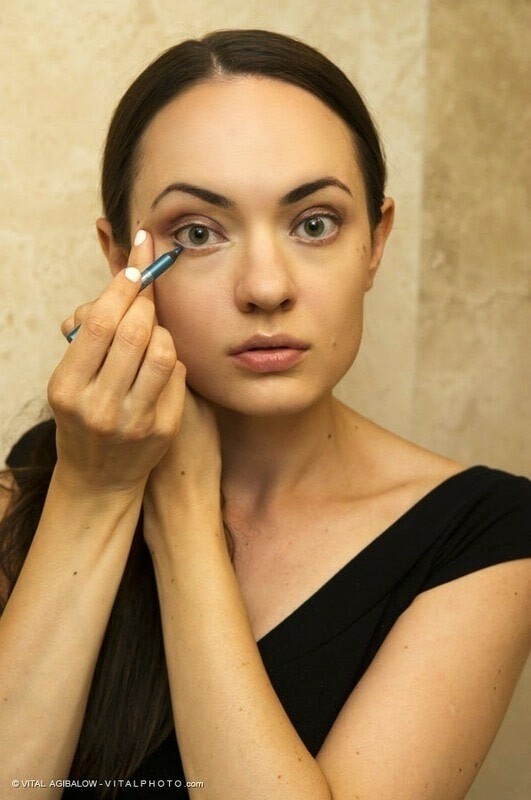 Define your eyebrows by applying an eye pencil with the help of angled brush. Select a shade that is one tone lighter than your eyebrow color. 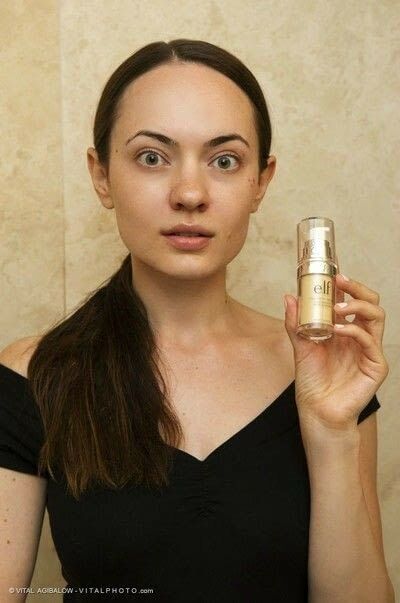 To finish the eyebrow look, apply a bit of e.l.f. Clear Brow & Lash Mascara. I like wearing darker eye makeup in fall, and e.l.f. Smudge Pot eyeshadow in Wine Not is a perfect cold weather color. In my experience, it works the best when I apply the cream eyeshadow with a brush from my Urban Decay’s Naked 2 palette. 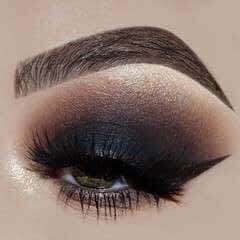 After applying the shadow on the top lid, use a cobalt colored eye pencil (I picked Marcelle Blue Lagoon Eyeliner) to outline the outer corner of the lower lid. 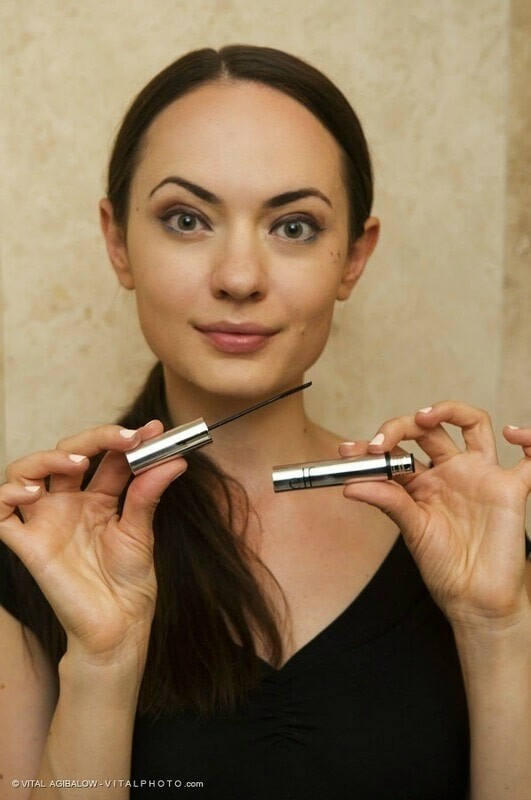 Finally, apply one layer of mascara on your upper and lower lashes. For this look, I used e.l.f. 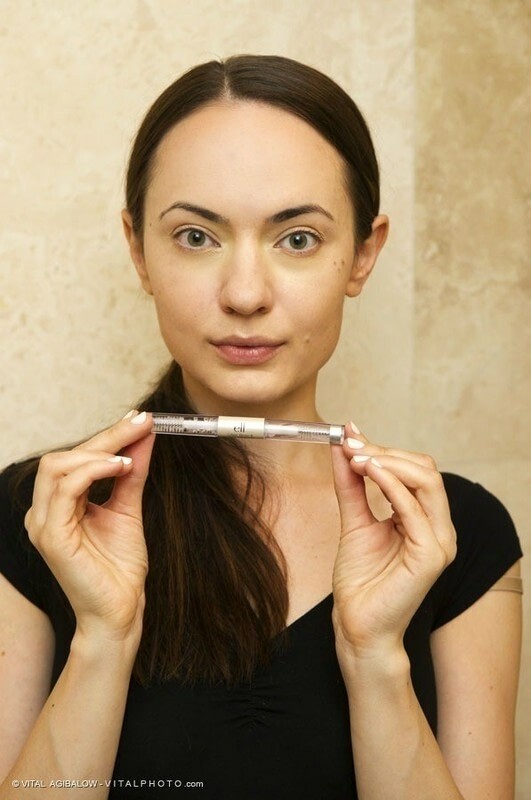 Beautifully Bare Lash Tint Mascara (c/o) that has a very unique tiny applicator; it is a perfect daytime mascara as it helps to emphasize your lashes just a bit while keeping the look natural. In order to add my look a bit color, I used Clinique Cheek Pop Blush in Peach. Use a bigger brush and apply the blush sparingly: we are looking for just a bit of pop. Remember how we applied some Vaseline on the lips at the Step #4? It’s time to remove the leftovers from your lips (did you notice how much softer your lips are now?) and apply a lipstick. For this look, I used a perfect shade of burgundy, e.l.f. Matte Lip Color in Wine (c/o). It’s not the most moisturizing lip product, but it stays on your lips long enough and has a great pigmentation. 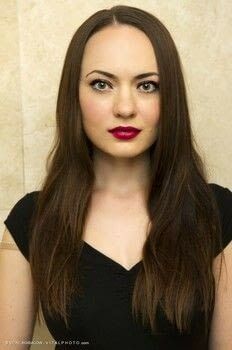 We are all set with the burgundy makeup look!